The inside story of how big business worked with lobbyists to influence the EU in drawing up controversial trade secrets proposals. IN SEPTEMBER 2006, an alliance of Europe’s most powerful industry lobby organisations held a high level workshop in Brussels for European commissioners and MEPs. At the New European Industrial Policy event, many of the continent’s biggest businesses railed against increasing environmental regulation and what they felt was industry’s inability to get its voice heard above “aggressive and one-sided” NGOs. To coincide with the event, each member of the Alliance for a Competitive European Industry supplied a chapter which formed an industrial policy manifesto. The European Chemical Industry Council’s (Cefic) contribution was among the more strident. Its members – the likes of Dow Europe, BP and Unilever – demanded the EU introduce “a general framework spelling out the principles regarding the protection of ownership of confidential business information”. This would ensure that when companies submitted products for environmental, health and safety checks in an EU country, there would be strong sanctions in place if their trade secrets – formulas, technical details or customer lists – were stolen or disclosed to rivals. Nine years after that high level Brussels workshop for the first time placed the issue of trade secrets on the table, the calls of some of Europe’s most powerful companies are within touching distance of becoming law. In November 2013, the European Commission published a draft Trade Secrets directive which will harmonise standards and definitions. The proposal was signed off by the Council of the Europe Union – the governments of all 28 EU member states – last May. European parliamentary committees are currently scrutinising the text and debating amendments. A full parliamentary vote is scheduled this autumn. The Bureau asked Cefic, the voice of the European chemical industry whose manifesto submission in 2006 first raised the issue of the need for new rules to protect trades secrets directive, to describe just one example of when confidential business information had been stolen or copied after a product had been submitted to a public authority for testing. It could not come up with one example. As the legislative process now reaches its endgame, a broad alliance consisting of transparency groups, health campaigners, environmentalists, food safety groups, unions and even commercial lawyers have at this late stage voiced serious concerns with the proposals. The biggest problem, they claim, is that the proposed directive does not sufficiently guarantee the protection of whistleblowers who leak confidential business information to the media or authorities. Journalists are similarly at risk. Under the measure, whistleblowers must clear three hurdles. · They must prove leaking information is for the purpose of revealing a company’s misconduct, wrongdoing or illegal activity. · They must prove the leak was necessary to prove misconduct, wrongdoing or illegal activity. · The whistleblower must only be acting in the public interest. Campaigners argue this three-step justification could make it easier for whistleblowers and journalists to be convicted in Europe. They say it is only possible to establish whether disclosure is necessary to reveal wrongdoing in hindsight once the misconduct has been conclusively proved. There are already examples of public interest motivated whistleblowers facing prosecution from sovereign states – even in the EU – if their actions are seen to damage the reputation or economy of a particular country. The latest revolves around Antoine Deltour, a former PricewaterhouseCoopers auditor. Last December Deltour was charged with theft, professional secrecy violations, trade secrecy violations and illegal obtaining of data for leaking information by the Luxembourg authorities. This despite his actions appearing to have no motive other than alerting the world to industrial scale tax avoidance strategies that took place thanks to both Luxembourg’s generous corporate tax arrangements and PWC’s expert guidance. And last week, the Luxembourg authorities charged respected French journalist, Edouard Perrin for his role in the so-called LuxLeaks scandal. Luxembourg is a country whose economy depends on its tax haven status so it has an interest in prosecuting anyone who threatens its global status as a place where multinationals can enjoy huge tax benefits. But tellingly, a leading commercial law firm acknowledges there are legitimate concerns that the draft directive, if enacted as it currently stands could compound problems for whistleblowers across other member states. It is possible, the note continued, that this issue could actually prove the undoing of the whole directive. “Belated examination of the proposed text from this libertarian perspective may in fact slow down, if not impede adoption of the proposed Directive as it currently stands,” they suggested. Adding to transparency fears are growing concerns that the new law will make it harder for public health authorities across Europe to check the safety of products developed by pharmaceutical, food and chemical firms. A Commission spokeswoman resolutely denies that new rules will allow businesses to avoid disclosing information needed for health trials or environmental safety. But Tessel Mellema, Health Action International’s policy adviser, said: “The Trade Secrets Directive is incredibly important and massively underestimated. The Directive is particularly concerning because it contains an incredibly broad definition of ‘trade secrets’ — one that would enable a company to deem virtually anything as such. “It will also give companies extensive legal powers to sue anyone who, in their view, unlawfully acquires, uses or discloses company-defined ‘trade secrets’. This includes researchers, journalists and whistleblowers who try to expose dangerous corporate products or practices. With Europe’s first Trade Secrets directive close to becoming law, its adoption appears to be an object lesson in how a slick lobbying campaign pays dividends in Brussels. The Bureau has analysed a cache of 250 emails and documents obtained through Freedom of Information by the transparency campaign group, Corporate Europe Observatory. There is no suggestion of any wrongdoing but they provide a masterclass in how to attempt to propel a new policy into the heart of the European legislative process. On behalf of some of the world’s most powerful companies, a collection of law firms, public affairs agencies and trade groups appear to have successfully convinced European Commission officials to propose a harmonised trade secrets framework with common standards and definitions. New rules will, they claim, help improve innovation,increase growth and reduce security costs for companies. The process has been dominated by big business. A look through the list of respondents to a Commission consultation process shows a total absence of NGOs. In contrast, campaigners appear to have been slow off the mark failing to attend a major conference held by Brussels officials which helped inform its legislative proposals. Whether it was through lack of capacity or foresight, campaign groups left the trade secrets agenda to major businesses. And they certainly took full advantage of their absence. Documents obtained by the Commission showing the multinationals demanding new trade secrets rules . The cache of emails analysed by the Bureau spans a three-year period up to November 2013 when the Commission published its directive. In minute detail, they show exchanges between senior Commission officials on one side and lawyers and trade associations representing dozens of the world’s most powerful multinationals. Unquestionably, the driving force in the lobbying campaign is the Trade Secrets & Innovation Coalition (TSIC). The TSIC is a low profile organisation. It has no website. Its members, according to emails released by the Commission, include transport and energy firm, Alstom, chemical giant Dupont, GE, Intel, Michelin and Nestle as well as Cefic. The man who appears to have mostly steered the TSIC for the three years to 2013 was Thomas Tindemans. First while he was counsel at the European practice of law firm, White & Case and then from 2012, at Hill & Knowlton Strategies, where he is now chief executive of its Brussels practice. A follow up email from Tindemans with charm and polish two weeks later contained a series of trade secret violation cases involving TSIC members Alston, Dupont and Michelin later. Over the next two or three years, Tindemans and his colleagues most certainly obliged. As the months and years rolled on, they supplied a barrage of “legal status backgrounders” and briefings for the Commission. To all intents and purposes, the TSIC acted as if it was a de facto research unit for Europe’s most important policymaking institution. From that moment, Tindemans' “assistance” along with his colleagues was significant in the process of getting a directive drafted. It appeared to have proved impressively successful. In September 2010, an EU legal officer in the Enforcement and Intellectual Property Rights division invited White & Case, the law firm who was representing the TSIC lobby outfit, to bid to run a €60,000 study that would be used by the Commission to justify developing a directive. "I am sending you the preliminary version of the study, for you to see whether this would be something you would be willing to bid for,” wrote an official. In the end, the survey was undertaken by the Hogan Lovells law firm. But in the very same email, the White & Case lawyer asked the Commission official, whose identity was redacted, to send him “the draft section/paragraph that relates to trade secrets in the Single Market Act”. The published Single Market Act when it was released a year later did contain several lines that indicated the Commission was prepared to legislate in this area. "In order to encourage investment in intangible assets on the one hand, and to help innovative companies turn their R&D efforts into competitive gains on the other, the Commission services will … consider addressing the very fragmented legal framework for trade secret protection with a view to making it safer and less costly for business and research bodies to license, transfer and share valuable knowledge and information throughout the internal market." When asked the Commission could not explicitly rule out the possibility that its staff may have complied with White & Case’s request to send them information. “As far as we are aware, Commission staff did not disclose to any third party the document in question,” the Commission said. As the lobbying momentum built, emails seem to indicate that the Commission introduced another major trade association to the TSIC whose interests appeared aligned. Helpfully, the Commission official provided a White & Case lawyer with fragrance industry contacts. With the Commission starting to take the possibility of producing a new directive on trade secrets more seriously, White & Case lawyers provided further information to the Commission. 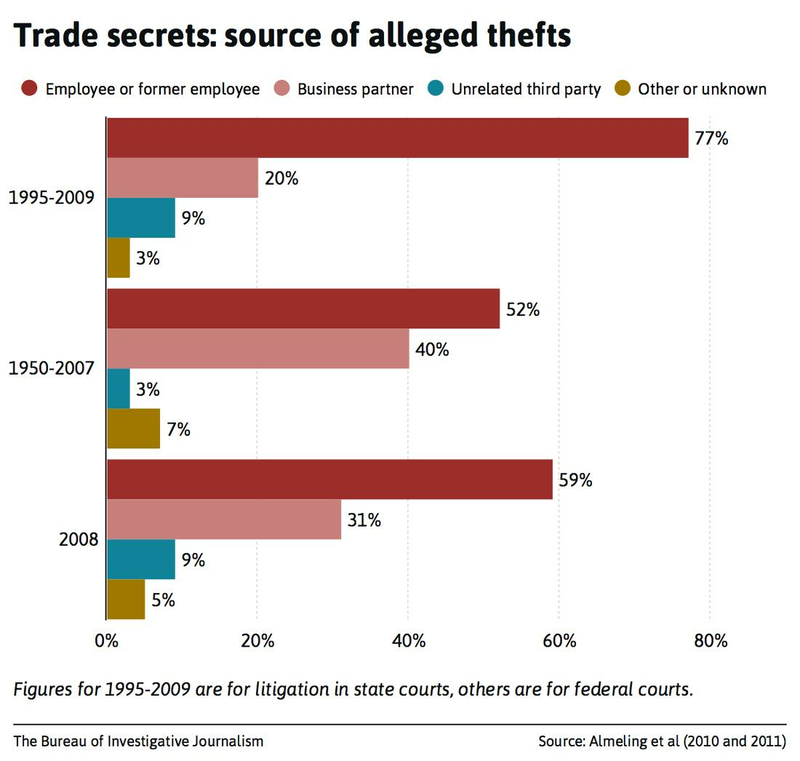 · A summary of recent trade secret cases in March 2011. · 14 separate attachments on US and Japanese trade secrets protection, a survey by TSIC members, testimonies from recent cases of theft and a TSIC position paper in June. In addition, White & Case lawyers, on behalf the TSIC, introduced Jean Bergevin, the head of the Commission unit considering whether to introduce new rules on trade secrets, to a leading US academic on the subject. The lawyer representing the TSIC referred to Bergevin as “a friend of ours”. It is an open secret in Brussels that commercial lawyers can be highly effective lobbyists. On behalf of their clients, they enjoy tremendous access to Commission officials and can exert significant influence over legislation. The trouble is their activities are for the most unknown to the wider public. This is because EU guidance on who should disclose lobbying activities allows law firms to stay in the shadows and off the Transparency Register. The guidance states if lawyers are advising firms on general legal positions or ensuring their clients activities are legal, there is no need to disclose any meetings with Commission officials or MEPs. But the guidance does not cover the possibility of a law firm directly advocating for a new directive on behalf of a client where a directive does not exist. The Bureau directly stated to White & Case that the large number of emails we analysed indicate that the firm was instrumental in attempting to persuade the European Commission to propose a new directive and that this clearly constituted lobbying. Why wasn’t the TSIC included on the EU lobbying register while White & Case were representing the organisation? Is there not a case to be made for lawyers to disclose their interests on EU transparency registers and for that to be mandatory? How many other pieces of EU legislation is White & Case actively lobbying (or engaging with) EU policymakers on? But Tamasin Cave, director of Spinwatch, said: "In our view, what White & Case has been doing constitutes lobbying. Rules should be amended to require such lobbying to be disclosed on the register. "Law firms in Brussels have for too long been allowed to, perfectly legally, carry out such activities and to utilise client confidentiality arguments without the need for things to be opened up for appropriate scrutiny. "The definition of lobbying should include any attempt to influence decision-makers. It doesn't matter who does it, whether it's a dedicated lobbying agency, or a law firm. 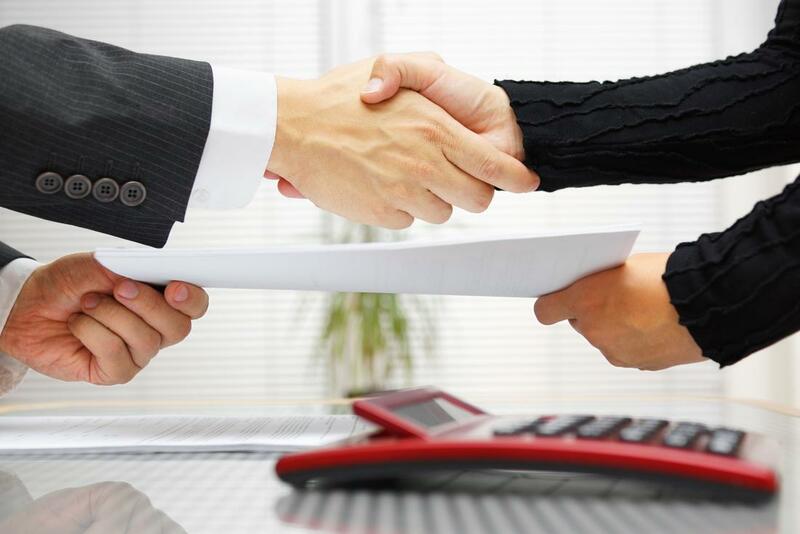 Because of the potential for added secrecy, law firms may have been seen as a better choice. Lobbying is best done and is most effective when it goes unnoticed by the wider public. "There's little doubt that if you have wanted to try to influence Brussels on the quiet, hiring a law firm like White & Case has made sense." By 2012, it was Hill & Knowlton who took over the account for the TSIC from White & Case. The change came 18 months after Thomas Tindemans left White & Case for the public affairs firm. And from the start, it appeared H&K’s priority was influencing the choice of speakers for a European Commission conference that informed the drafting of the directive. 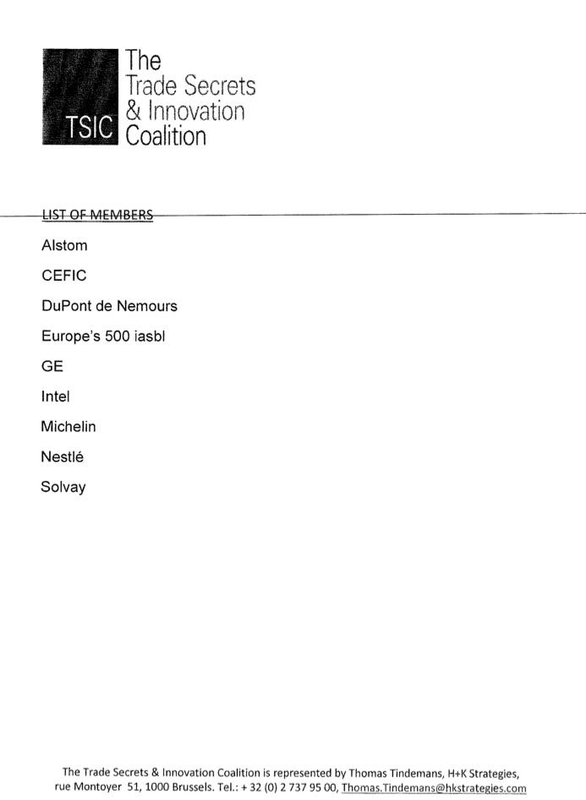 In the months leading up to the July 2012 event, the TSIC suggested key members of its coalition – from Alstom, Dupont and Michelin –would make effective private sector participants at the conference. In addition, Hill & Knowlton also supplied a speaker from Europe’s 500, a small growth company forum which it also represented. But not one civil society group was invited to speak at the conference. Hill & Knowlton worked closely with the Commission identifying journalists who might attend the conference. Emails show how press statements by the TSIC and the Commission about the conference were compared ahead of publication. An analysis of the conference transcript by the Bureau shows that issues of whistleblowing and safety were not discussed by speakers, participants and delegates. Among the most important roles of the conference was to approve a survey that would be sent by law firm Baker & McKenzie on behalf of the Commission to European businesses asking them about their experiences of trade secrets theft. To do this, Hill & Knowlton on behalf of the TSIC, made requests to the Commission to meet Baker & McKenzie. It was a request the Commission was happy to arrange. And such attention to detail seemingly paid off for the Coalition. 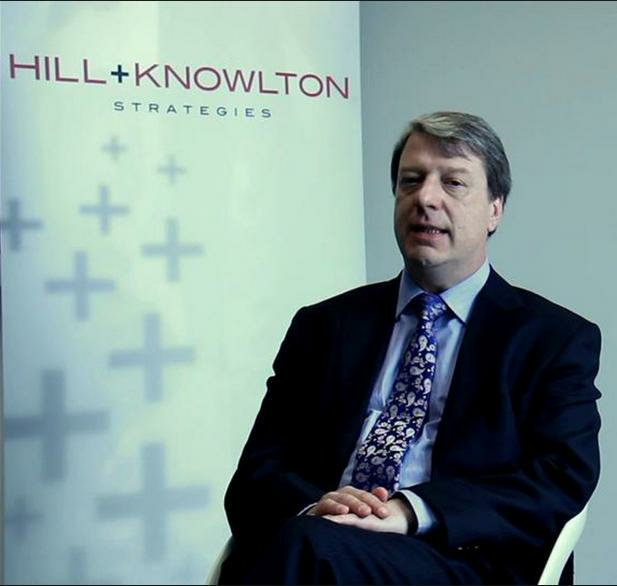 On July 16 2012, Hill & Knowlton Strategies on behalf of the TSIC made 16 specific requests for changes to the survey that was being sent out to hundreds of European businesses asking them their experiences of trade secret violation and whether they thought a harmonised legal framework was something they thought necessary. An analysis by the Bureau of the final survey published four months later shows virtually all the suggested changes were made. These included TSIC’s request for “a short narrative to provide more background information and describe the actual problematic world”, a broadening of business sectors to include food and biotech and a suggestion that companies provide further details of trade secrets misappropriation cases. These suggestions would no doubt have been helpful in building a case for new legislation. Among the rejected suggestions was a request by Hill & Knowlton Strategies that “the survey process should include a visit to the selected companies with interviews on site”. The Commission, defending charges of being too close to industry groups, said the study was presented with the draft questionnaire and the methodology for the survey at the public conference organised by the Commission in June 2012. “All interested stakeholders were invited to submit comments to the contractor after the conference,” it added. By January, an internal Commission memo showed that officials met more than 20 multinationals and trade associations in two separate meetings. These included oil giants Total and Exxon Mobil, as well as drug firm Merck, the premier European lobby organisation Business Europe and the European Crop Protection Association. Thomas Tindemans emailed Bergevin and two redacted Commission colleagues within a few minutes of the draft Trade Secrets directive being published by the Commission. In a lengthy statement to the Bureau, Hill & Knowlton Strategies chief executive Thomas Tindemans, said members of the TSIC had suffered theft of confidential business information. He said that an analysis of the legal protections for business in member states revealed “great discrepancies” and “prevents companies (investing) in R&D”. Tindemans said: “That is why the Coalition informed the European Commission of the need to harmonise existing legislation to ensure the proper functioning of the internal market in order to foster innovation and continued research in product improvement. The Bureau contacted all 16 organisations which signed up to a Europe wide statement condemning the directive. Of the nine which responded, not one organisation said it had been contacted by officials from the Internal Market commission formally or informally in the three years leading up to publication of the draft. This was confirmed by a freedom of information request to the Commission which failed to unearth a single email between the Commission and any of these organisations. Martin Pigeon, researcher and campaigner at the Brussels-based transparency campaign group, Corporate Europe Observatory, explained: “The correspondence between the European Commission and the several lobby groups trying to influence its thinking about trade secrets legal protection illustrates how, very often, industry manages to convince the Commission because, among other reasons, the discussion happens in a vacuum, within a very small group of persons. “There was no exception to this practice when it comes to the preparation of the initiative on the protection of trade secrets against their unlawful acquisition, use and disclosure,” it continued. Lobbyists’ efforts in the run up to the directive show it has already covered much ground. And their efforts could have global implications. The EU and the United Sates are currently negotiating a new trade deal with far-reaching implications. Under the so-called Transatlantic Trade and Investment Partnership (TTIP), businesses will be allowed to sue countries if they have suffered losses because of EU laws. The current proposals have sparked widespread concerns that employee rights, food standards and consumer protection will be watered down. The emails obtained by Corporate Europe Observatory and analysed by the Bureau show that the Trade Secrets Directive, should it be passed, will also be included in the TTIP. Businesses need to protect their know-how and trade secrets and they need a right to legal redress if misappropriated. But as the directive reaches the crucial endgame, the implications it has for whistleblowers, clinical trials, environmental protection and trans-Atlantic trade policy are only now becoming clear. Production by Max Harlow and Tom Warren.